Build your own valve amplifier! 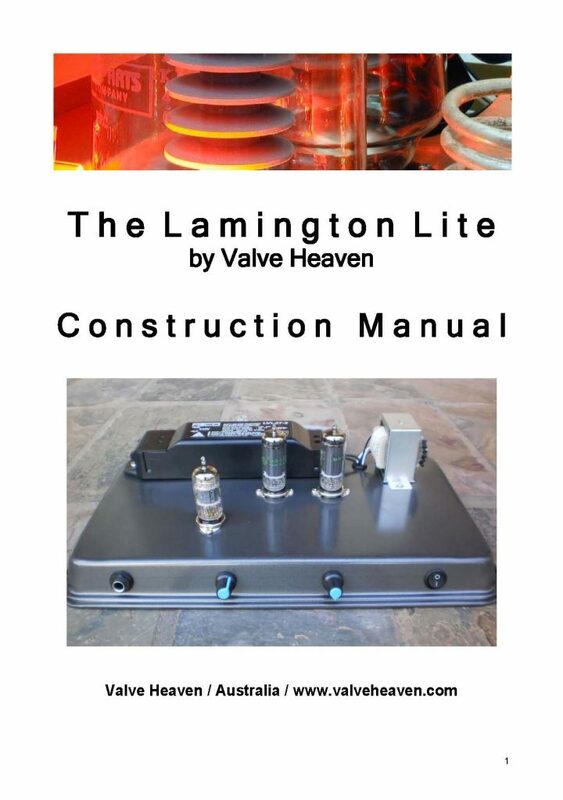 The Lamington Lite 10W amp Construction Manual is now available for $49 plus post. The Manual provides comprehensive “step by step” support for you to build your own great sounding 10W guitar amp . The Lamington Lite is a simplified design, and great for a first time builder who is looking for an amp with a good 10W output. The Lamington Lite is the amp we build at Amp School and has been well regarded for its tone. It sounds great, with warm valve “chimey” cleans and a great overdrive tone. It has a simplified power supply which reduces contact with the 240V mains making it safer to build. The Construction manual is ideal for the person with the ability to source their own parts for the amp build. Would you like to build your own 10W Lamington Lite guitar amplifier, and would appreciate a “step by step” guide that will assist you as you build your amp? The Lamington Lite Construction manual walks you through each step in the process, from sourcing and assembling all the parts to drilling the chassis and then on to the construction of the amp. In an easy to understand format, the manual covers all the information you need to build your amp successfully. In addition, the Manual includes some modification ideas to further increase the tonal and power options of the Lamington Lite.